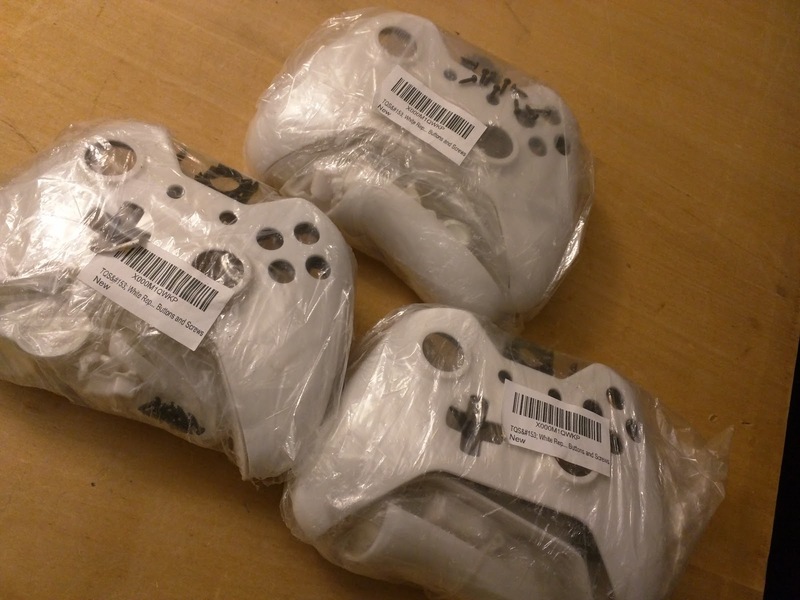 This is a quick tutorial on how to paint XBOX One controllers. 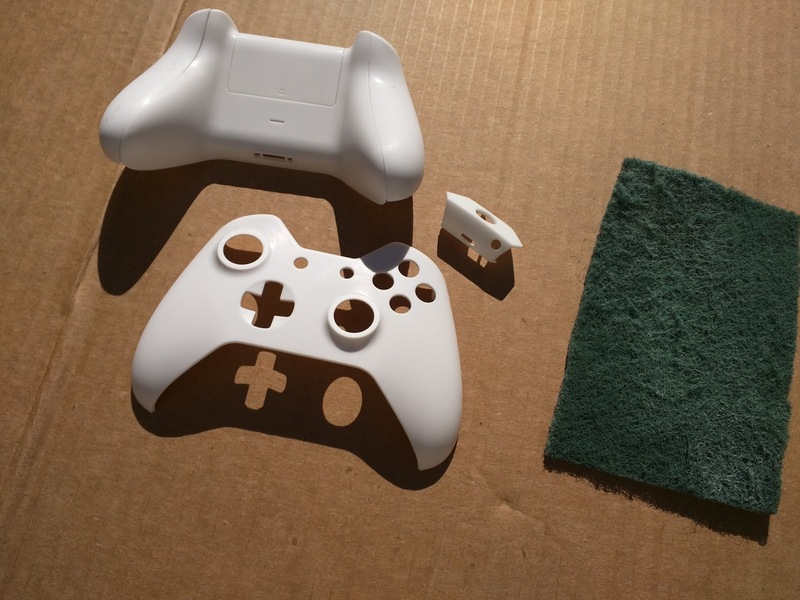 In this video I explain how to use spray paint to get a good clearcoat finish. I also go into how to make and use waterslide decals. Waterslide decals are an awesome trick used by the pros. 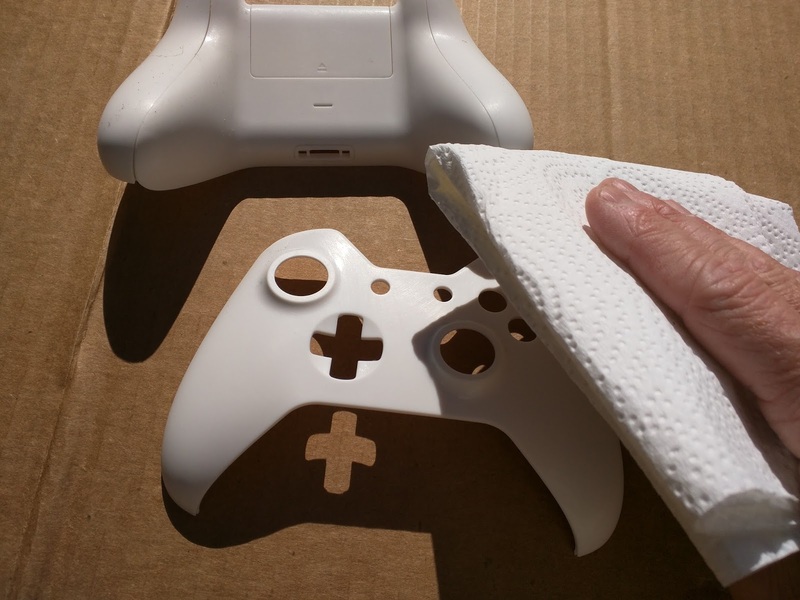 Step 1: Remove the glossy coating from the plastic using a Scotch Brite pad. This is important. Paint does not stick very well to these shiny coatings. No need for sandpaper or anything that drastic. Just make sure to remove the coating. The final surface should look dull and flat. Step 2: Wipe the plastic down with a paper towel to remove all plastic dust and junk. Step 3: Spray one light coat of Adhesion Promoter or Plastic Primer. You don't need regular primer you need primer designed for plastic or adhesion promoter. ( if you can't find any adhesion promoter, a light coat of hairspray will work in a pinch) Hairspray is basically the same thing chemically. Whatever you use... only use a light coat. Step 4: Wipe your project lightly one more time with a paper towel to remove any dust. That's it... Your ready to paint your controller. Prepping you project is really important if you want your paint job to last for a long time. A little prep work goes a long way. 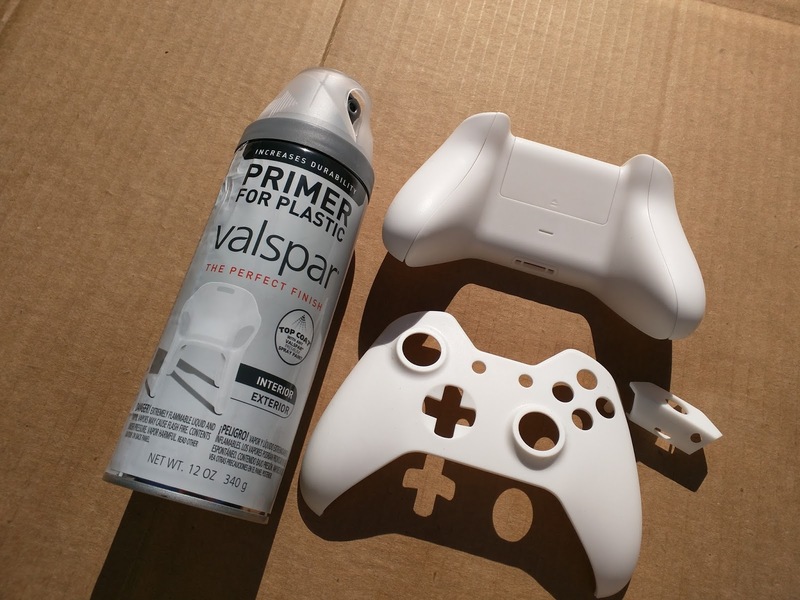 This is how to use the water drop trick to get a super cool paint job on your XBOX One Controller. This video begins a series of XBOX One Controller paint projects where I show you how easy it is to get really cool effects when painting XBOX controllers. It's been way too long. I'm going to do a few new projects and I'm starting to find my second wind. I can't wait to get painting again.